Technology is enabling companies to reach more consumers at a lower cost than ever before, shortening the distance to reach customers, transcending historical constraints, and enabling new business models. Take mobile technology alone: the mobile industry contributed $3 trillion to global GDP in 2014; today’s 3.6 billion unique mobile subscribers around the world are expected to grow by an additional 1 billion subscribers by 2020; and its data traffic is expected to increase tenfold in the next five years. The business opportunity is significant. Not only this, but stakeholders are using technology to become savvier consumers, employees and investors. The proliferation of data and increased access to information is fueling the trend of conscious capitalism. Companies are responsible to a growing set of stakeholders to which they must be responsive. As a global CEO states: “being a CEO is no longer [just] dealing with your employees, your customers, suppliers, your investors. This is dealing with governments, NGOs, with any interested party who decides to challenge your company.” Meanwhile, shareholders themselves are helping to lower the risk in business activity, reinterpreting laws around fiduciary duty and the extent to which those require acute focus on solely maximize shareholder impact. Today’s most intractable challenges are blurring lines across sectors, with acknowledgement in government that problems are too complex to tackle alone, and an increasing recognition in business that these challenges present business threats but also opportunities. 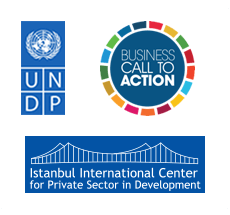 The Sustainable Development Goals themselves unite these sectors, providing a common reporting platform for impact. We see evidence of an increase in public-private partnerships anecdotally, but also through increasing blended finance sources, which now represents over $25.4 billion invested across funds. Copyright © Business Call to Action 2016.